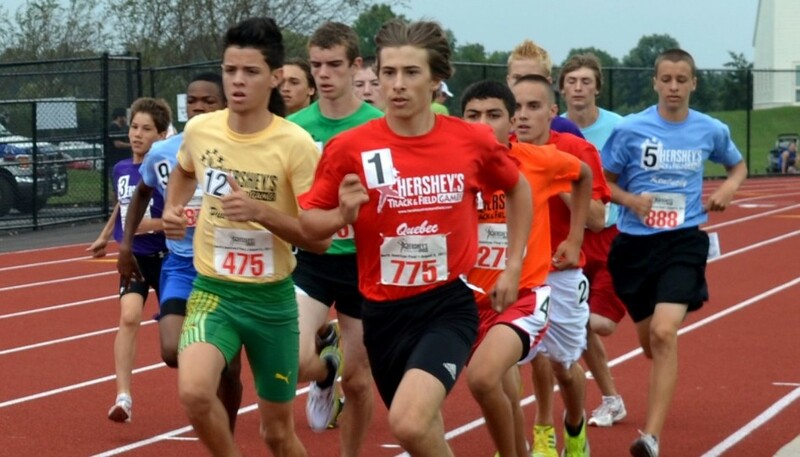 Last Saturday, over 400 young athletes showed up in rural Hershey, Pennsylvania to do something truly unique: participate in the North American finals at the Hershey®’s Track & Field Games. The largest youth activity group of its kind in North America, this sports event offers boys and girls aged nine to 14 the opportunity to compete in traditional athletics disciplines at the local and regional level. Those who advance past the state and regional level are then offered an all-expense-paid trip to compete in the meet finals at Henry Hershey Field. Dr. Donald P. Cohen founded the games, which began at a small local playground in West Virginia, in 1975. Since its inception, more than 10 million children from the US and Canada have taken part in them. 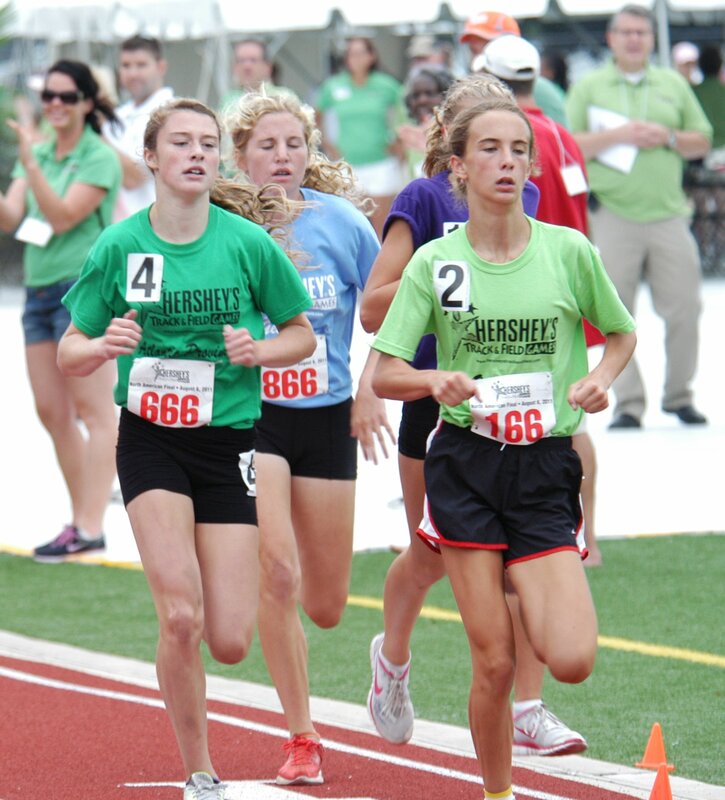 According to a press release from the Hershey® chocolate company, the Games’ sponsor, their purpose is to “encourage physical fitness among youths and sportsmanship between peers.” Thousands of runners from 4,000 communities across North America competed in various Hershey’s Track & Field Games in 2011 at the regional, the state and finally at the national level. “The Hershey® Company is committed to promoting physical activity for youth and their families as part of a balanced lifestyle, and we are proud to continue that commitment during this 34th year of the Hershey’s Track & Field Games,” said Jim George, the Vice President of Hershey’s Corporate Responsibility Department. One example of a champion giving his all was young Antonio Guity of Federal Way, Washington. 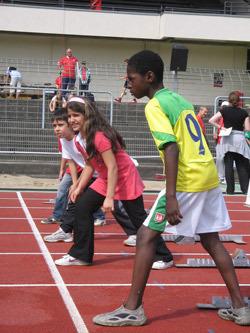 He out-jumped 14 of his fellow competitors to win the standing long jump event in the 9-10-year-old age bracket. His winning jump was seven feet, 3.5 inches. Meanwhile on the track, Kayla Hugg of Loudoun, Virginia, was the first girl in the 9-10 age group to cross the line in the 200-meter dash. Her winning time was an amazing 29.0 seconds. 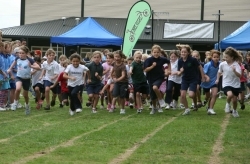 Along with the standing long jump, children competed in other events such as the softball throw, 50-meter dash, 100-meter dash, 200-meter dash, 400-meter dash, 800-meter run, 1600-meter run, and the 4×100-meter relay. New to the Games this year was a partnership between Hershey®’s and Nike’s “Re-use A Shoe” program that collects old shoes and recycles them into a rubberized material that can be used on playground surfaces. At the Games, one local community was selected to receive a playground made using the recycled material. Running, throwing, and jumping aside, perhaps the most cherished memory of the participants was off the track: Each athlete was given a tour of one of Hershey’s manufacturing facilities. They also got to visit HERSHEYPARK entertainment complex and Hershey’s Chocolate World attraction. 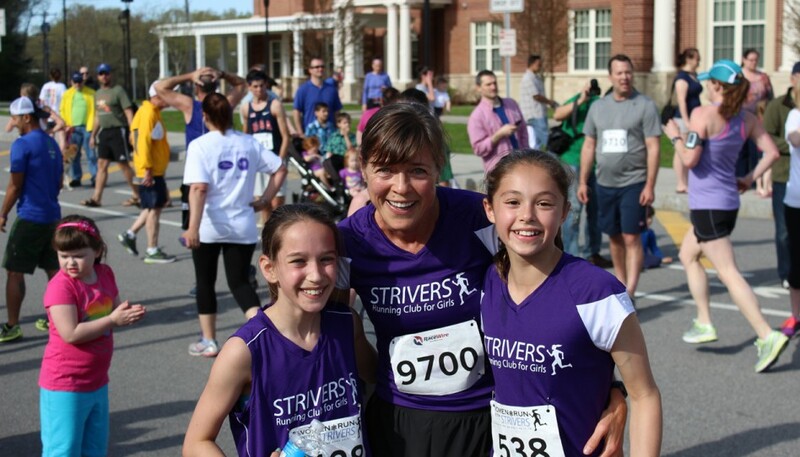 Sweets, good sportsmanship, and newfound friends: youth athletics can’t get any better than that! © Copyright 2011-2019 Take The Magic Step. All Rights Reserved. 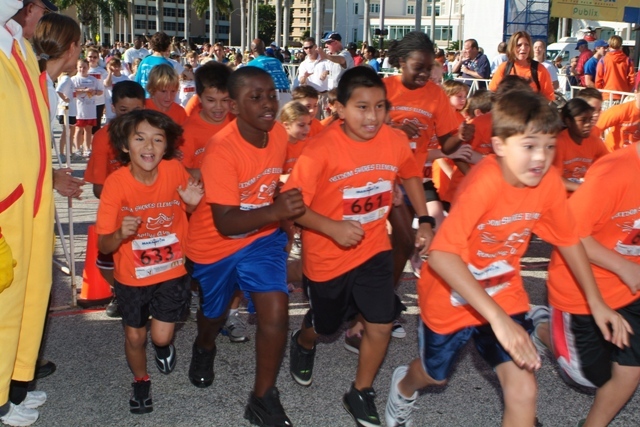 A Unique Florida Marathon—For Kids!